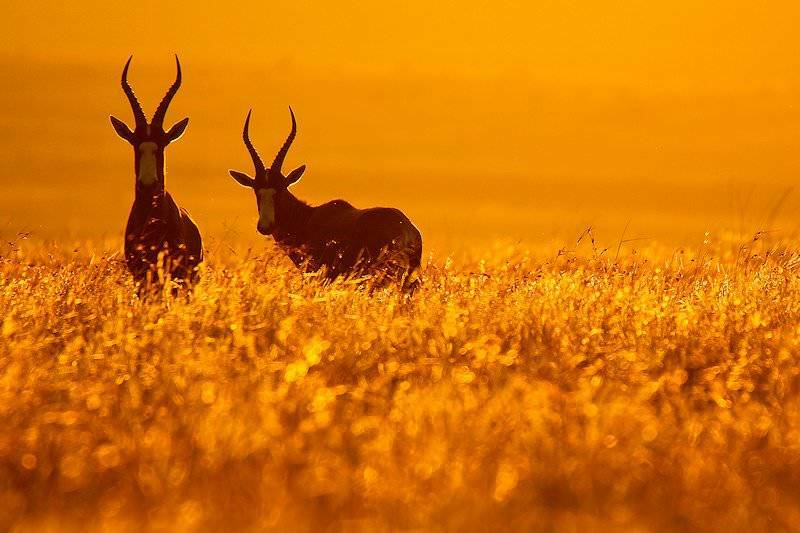 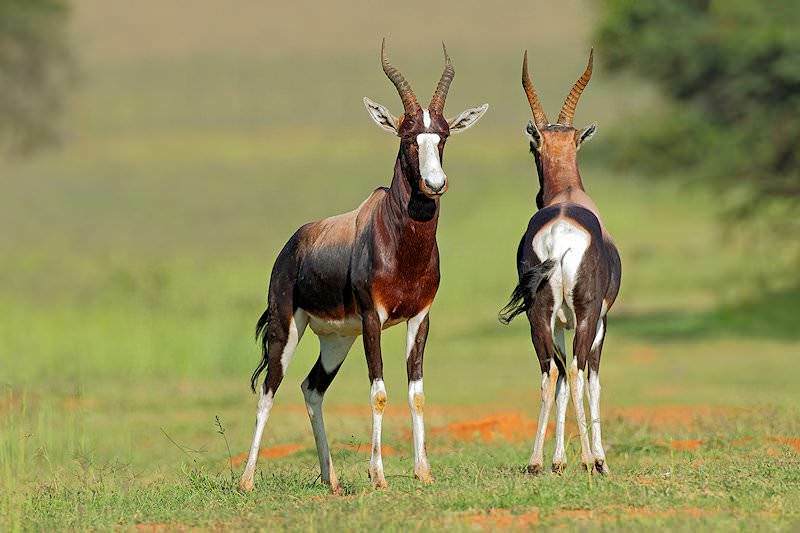 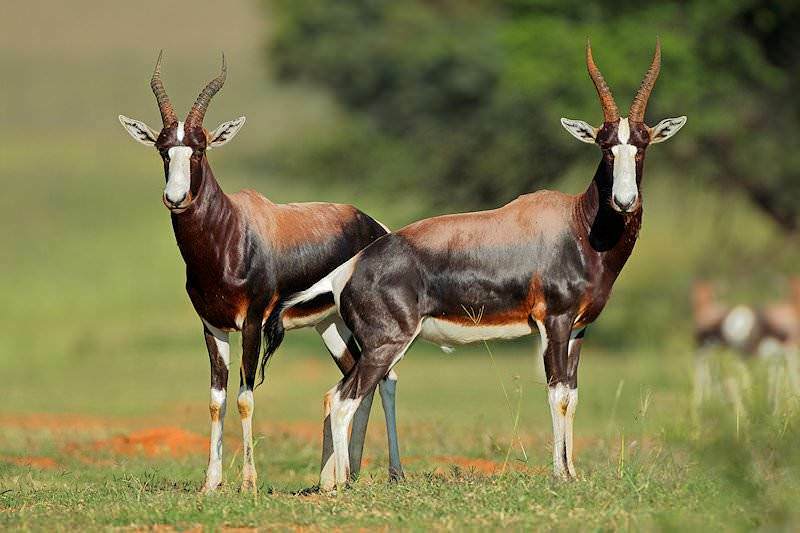 Bontebok are a rare species of antelope that can only be hunted in South Africa. 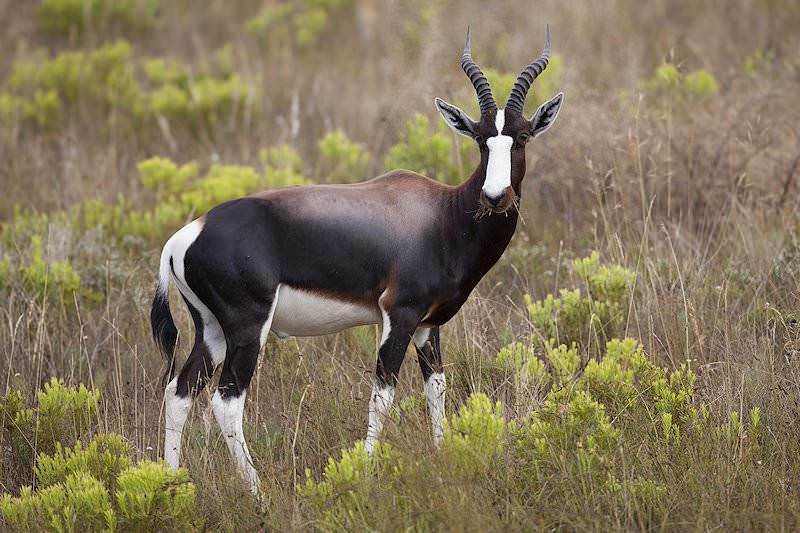 The bontebok is closely related to the blesbok. 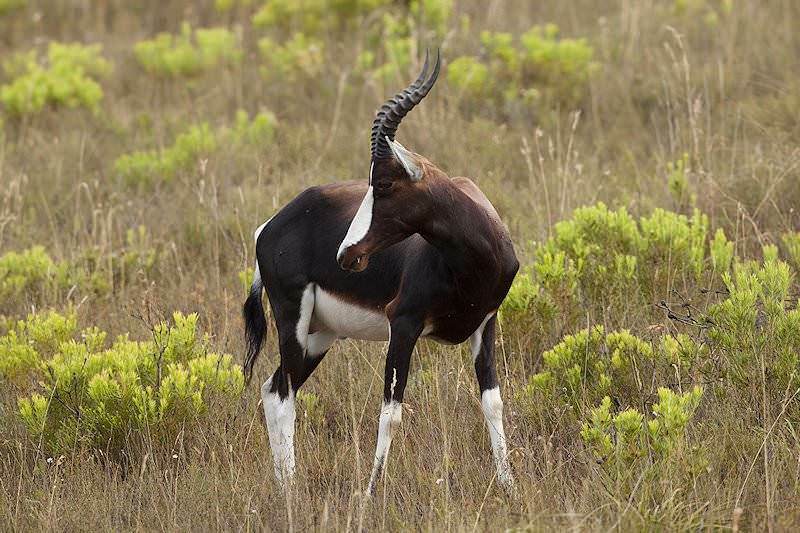 The two species can often be confused, however, the bontebok tends to be much more 'colorful', with much more white evident on the face, rump and legs. 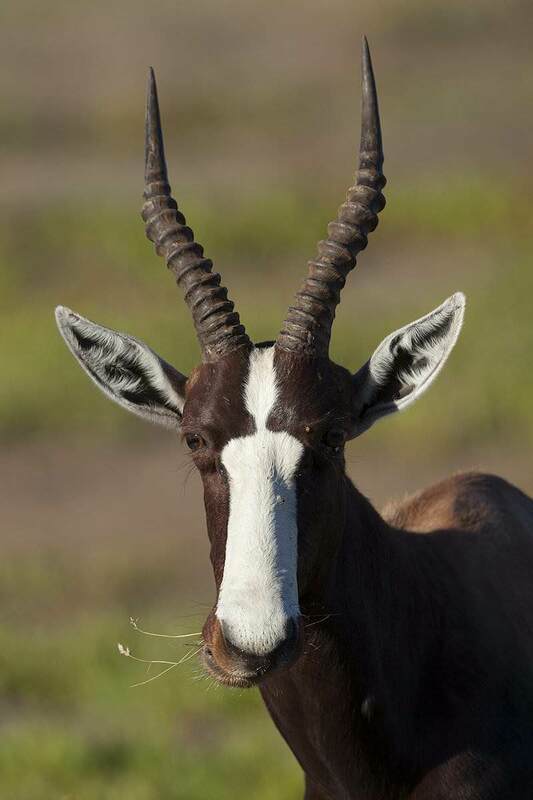 The prominent white blaze on the face and forehead of the bontebok typically merge. 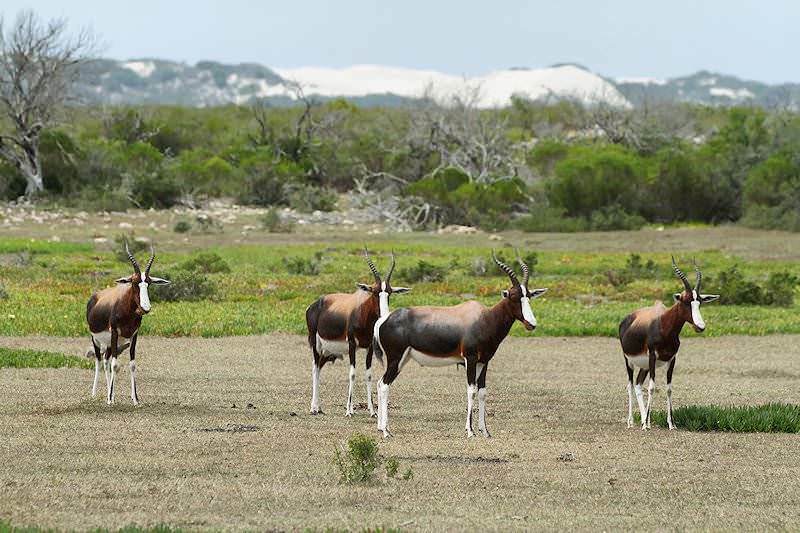 The ewes tend to be somewhat smaller than the rams and prefer to form herds of separate sexes. 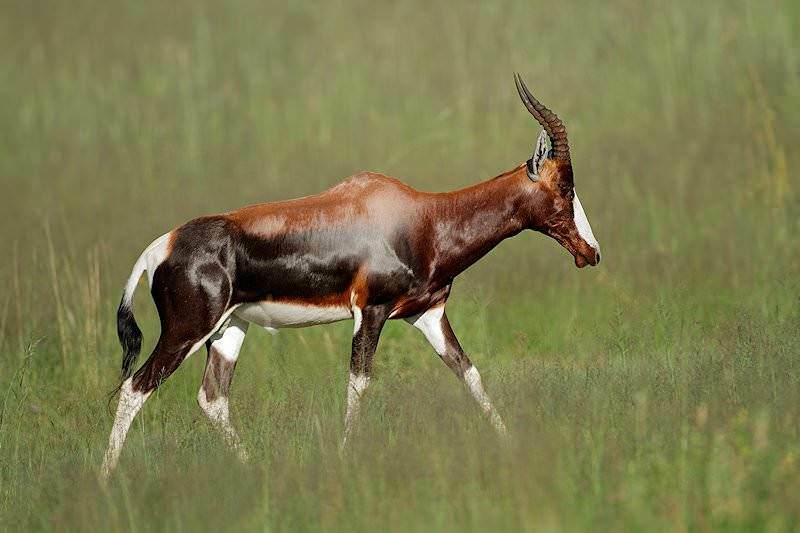 Hunt the bontebok early in the morning and late in the afternoon, as these are the times he prefers to graze. 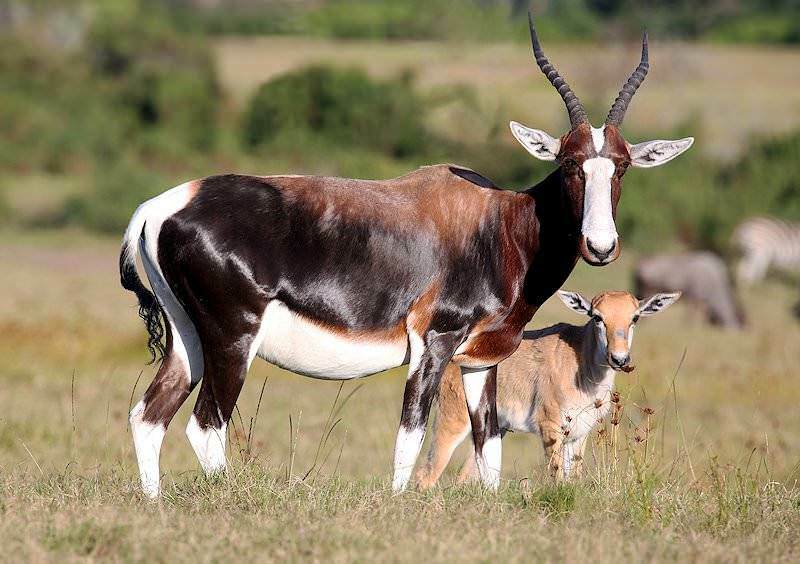 The bontebok tends to lay up during the heat of the midday sun. 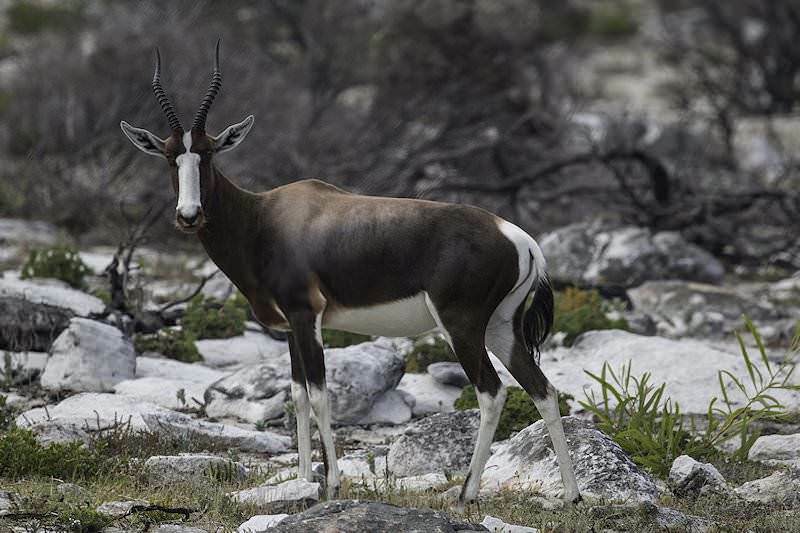 The bontebok has appeared on the endangered list before, but game ranching in Southern Africa has brought his numbers back. 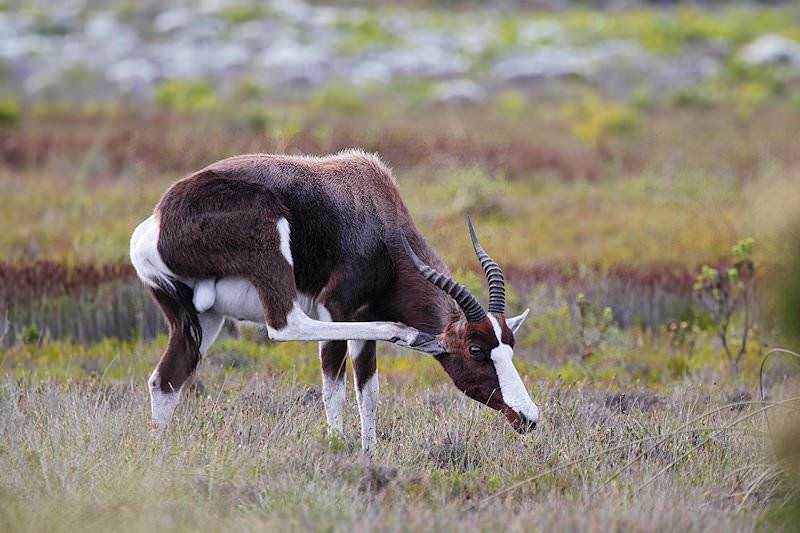 There are now sustainable numbers of this species to allow hunting. 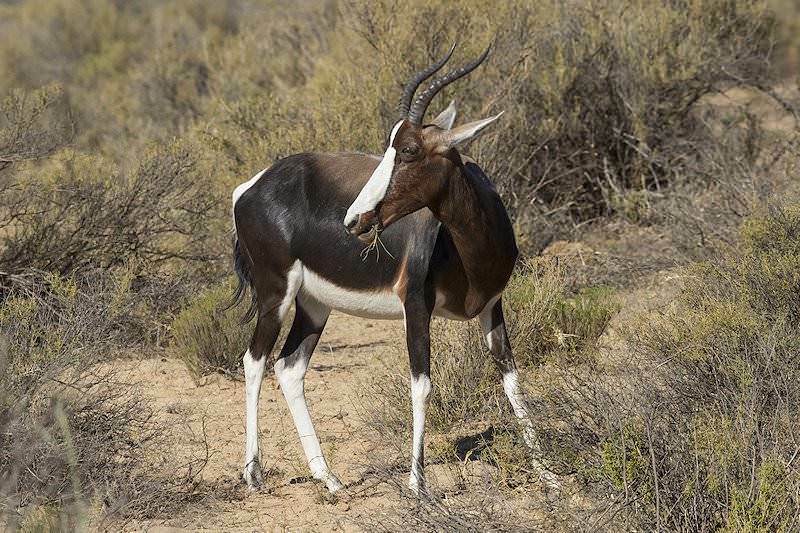 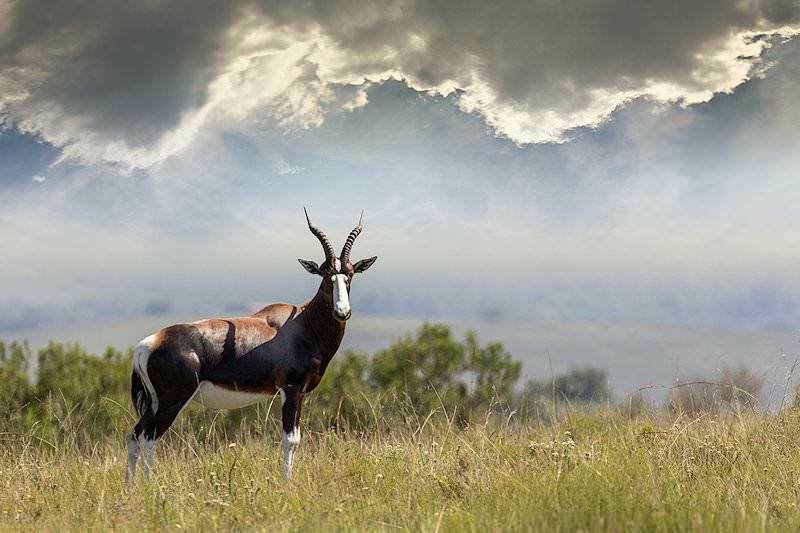 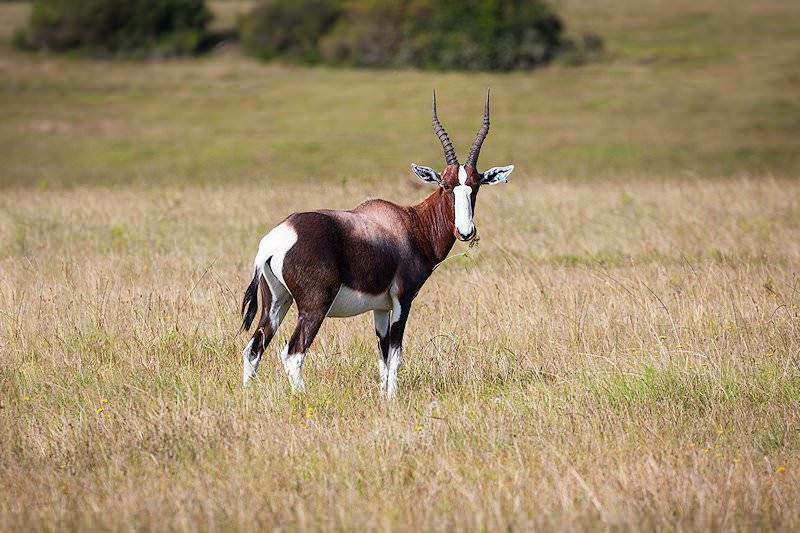 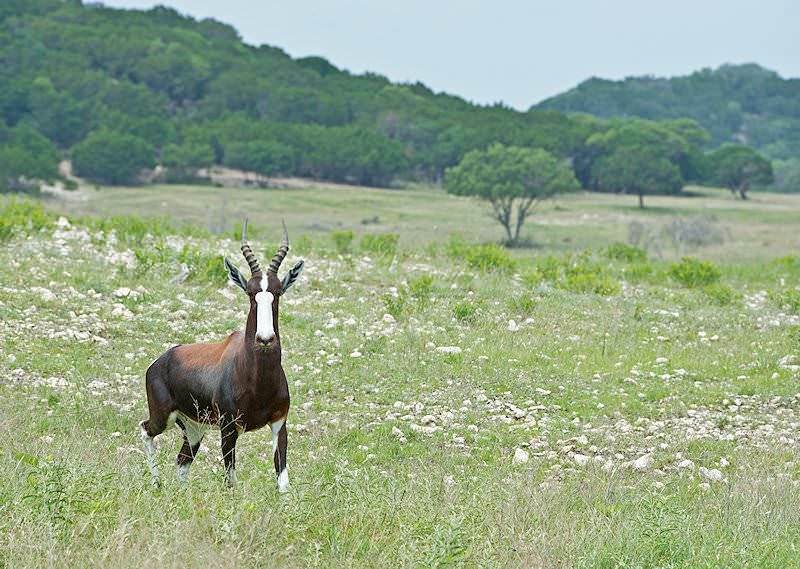 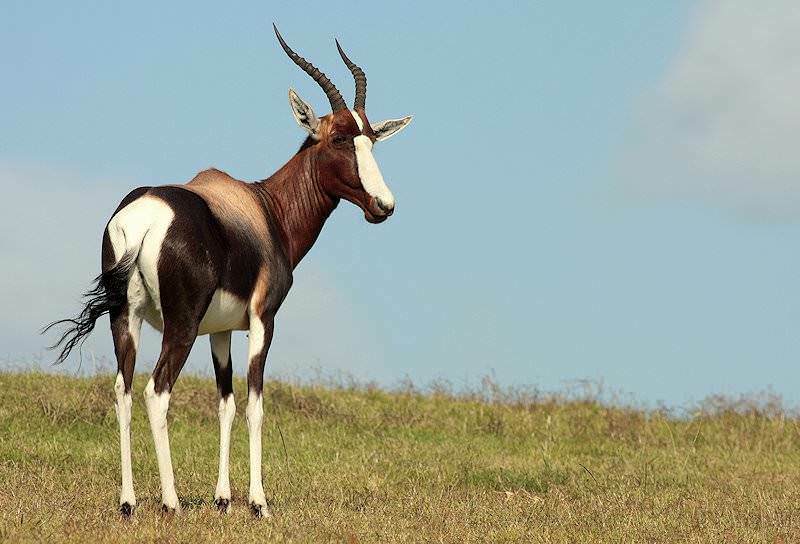 This beautiful antelope was once indigenous only to the plains of South Africa, but game ranching has made him available in many other regions. 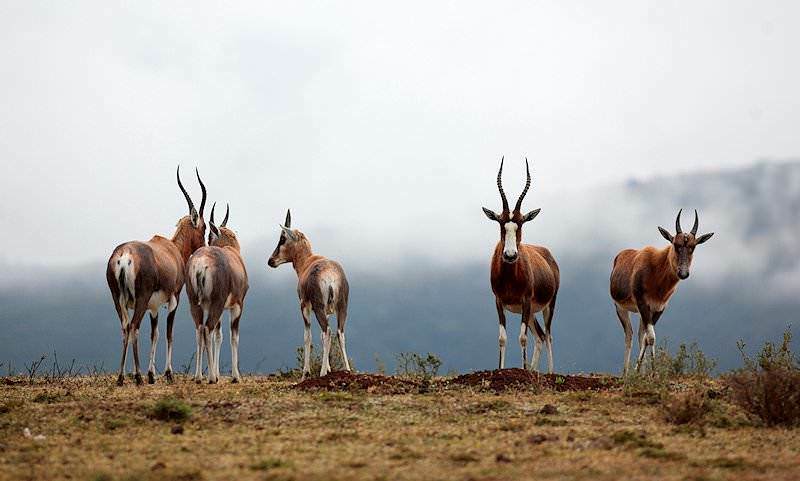 Your favorite deer rifle will be adequate for hunting bontebok - a .270, 7mm, or one of the 30 calibers will do quite nicely. 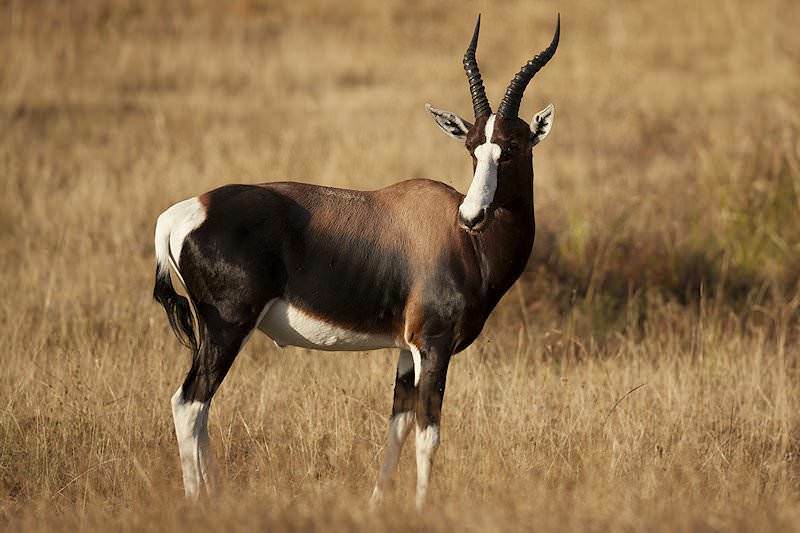 Use good quality bullets as with all African game, and, if hunting the plains, remember that your shots might have to be made at considerable distances. 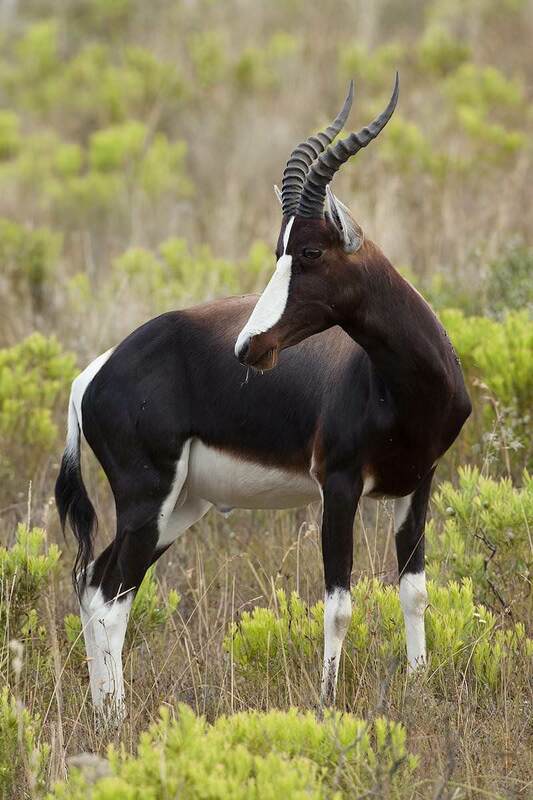 The bontebok is listed under CITES 1, which requires both an export permit as well as an import permit. 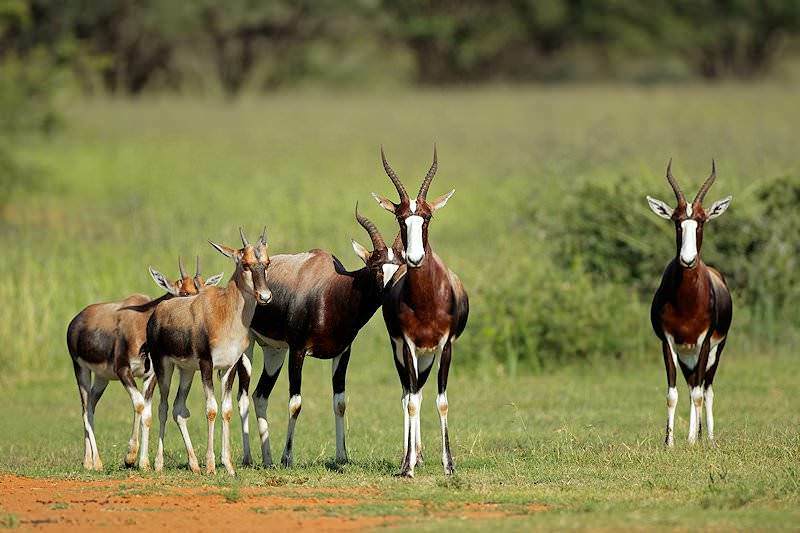 If you intend to take a bontebok on your safari, be sure that the proper permits are available and secured prior to your hunt.